You will have notice something has change.. we are the process of updating a new website. Our website is now fully mobile compatible and can be viewed on any smart phone, tablet or computer. When you are on a smart phone you will see the menu change to three horizontal bars. Just click these and our menus will appear. We hope you like our new site which now will be updated on a regular basis. Things will be added over the next few weeks, but why not sign up and be a member. We are very old user group in computing terms. We have been in operation now for over 27 years in our present format. Prior to that we were the group called TI-HOME. 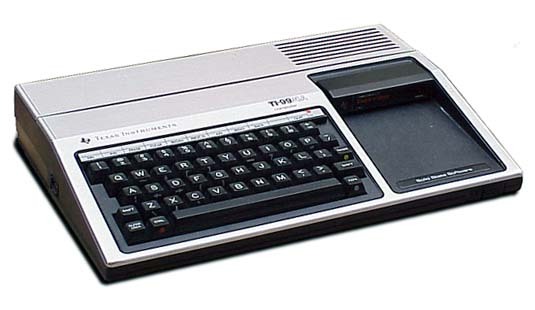 We are dedicated to the TI family of computers, but mainly the TI99/2, TI99/4, TI99/4a and the Geneve, plus the new all singing and dancing Geneve 2 (G2) which is still in development. We are also at this time actively developing a new super fast computer, working within the TI framework of chipsets. We also have a Cartridge Library where cartridges are also bought and sold. These can be used on a none expanded system, however some odd cartridges such as Microsoft Multiplan require an expanded system. These are becoming very sought after now that retro computing is now in vogue. If you visit Cartridge link (when online) you can see a list of the cartridges available for sale and how to obtain them. The group now has its own little discussion page. We have placed this in the members area as we had problems in he passed with unwanted spam. It is located from a link on the members page. We hope you like it. If you want to see a public forum regarding the TI then we suggest you visit the Atari Age forums. The group also produce a Quarterly magazine in PDF format which is delivered by email to members.